Hungarian educator; born Dec. 25, 1843, at Szegedin. He was brought up under the influence of Leopold Löw. 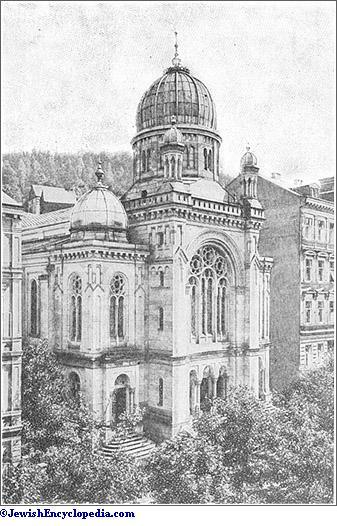 While preparing for the rabbinical career he studied philosophy and philology at the University of Budapest (Ph.D. 1866). Deeply interested in pedagogics, he was sent (1869) by the minister of education, Baron Joseph Eötvös, on a scholarship to Leipsic, to study methods of training teachers for secondary schools. 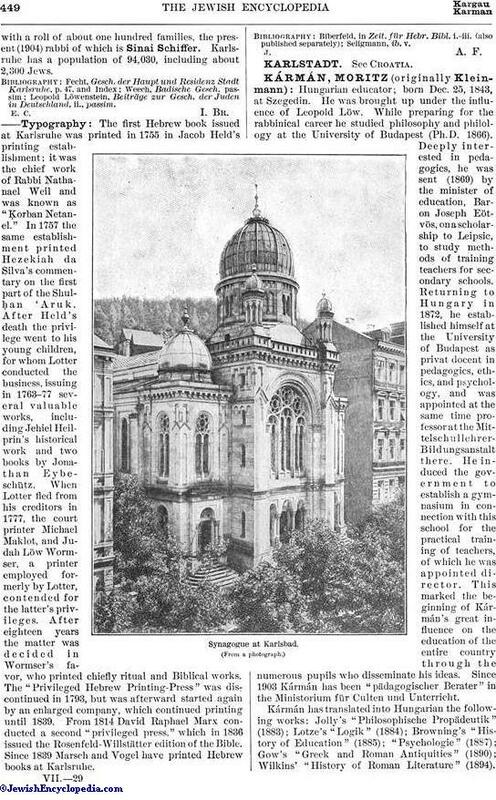 Returning to Hungary in 1872, he established himself at the University of Budapest as privat-docent in pedagogics, ethics, and psychology, and was appointed at the same time professor at the Mittelschullehrer-Bildungsanstalt there. He induced the government to establish a gymnasium in connection with this school for the practical training of teachers, of which he was appointed director. This marked the beginning of Kármán's great influence on the education of the entire country through the numerous pupils who disseminate his ideas. Since 1903 Kármán has been "pädagogischer Berater" in the Ministorium für Culten und Unterricht. 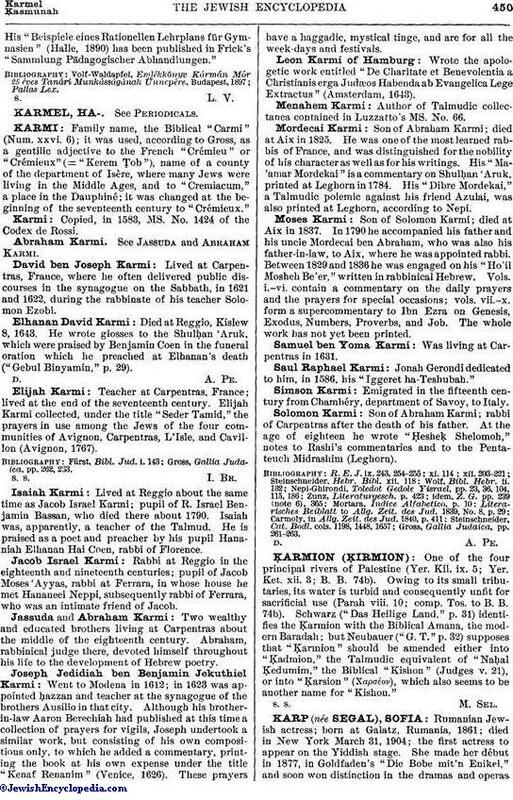 Kármán has translated into Hungarian the following works: Jolly's "Philosophische Propädeutik" (1883); Lotze's "Logik" (1884); Browning's "History of Education" (1885); "Psychologie" (1887); Gow's "Greek and Roman Antiquities" (1890); Wilkins' "History of Roman Literature" (1894).His "Beispiele eines Rationellen Lehrplans für Gymnasien" (Halle, 1890) has been published in Frick's "Sammlung Pädagogischer Abhandlungen."